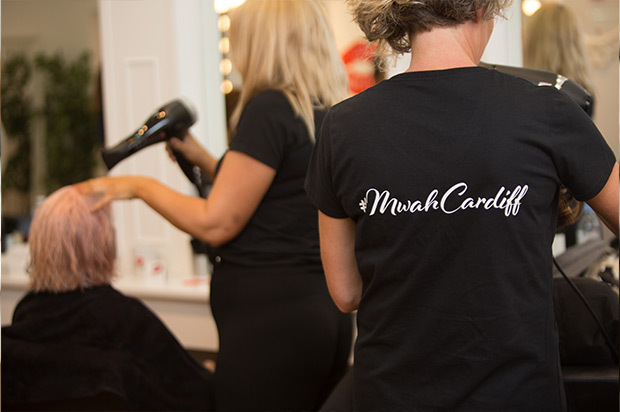 For the best hairdressing and beauty experience in Cardiff, look no further than Mwah. We have a luxury blow dry bar and beauticians on hand to ensure you can get beautified from top to toe. You’ve all seen the film Miss Congeniality and we all love that makeover part. Imagine if you could go somewhere to get your makeup, hair and nails done all at the same place or time. Well now you can. Welcome to Mwah Cardiff. We can even steam your suit or dress so it’s crease free and looking it’s best for your meeting, lunch or night on the town. With a wide range of services and promotions for all, our experts are eager to create your next style and look. We are perfectly situated on Churchill Way opposite Flannels and a stone’s throw from The Chapel 1877, Capitol Shopping centre, Queen Street or Mill Lane, Cardiff. To learn more and book your next appointment call or click here. Take a look at our price list to find out how much our services cost. 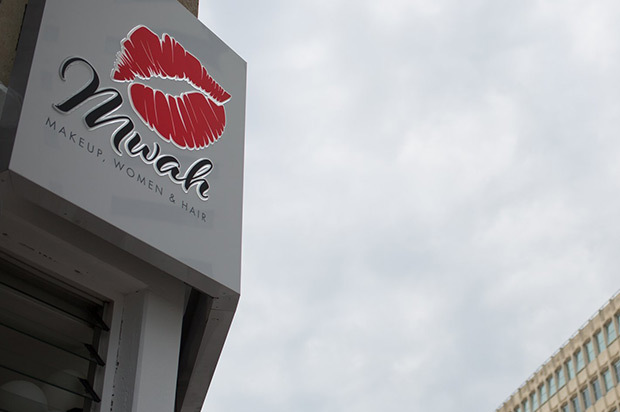 Get in touch with us by phone or email to book an appointment at Mwah.